2006’s Shipwrecked… My Sentiments – Wiebe’s solo debut – was met with reasonably good reception, though it certainly didn’t win him any awards. After the release, he continued to perform locally to hone his chops. Of that there is no doubt. Wiebe contributed a guitar part to 2011’s The Active Light EP and also came out with an unofficial pay-what-you-want release, Demos 2010 the same year. In 2012, he added guitar and mandolin parts to Jonathan Ferguson’s Sweeter After Difficulties, and even mixed, mastered and produced Andrew Riches’ 12 String Monster. And just last year, Long Jon Lev’s Telltale Heart saw Wiebe’s return as a lead guitarist. Always one to rise to new challenges, Wiebe also played quite a bit of slide guitar at Ferguson’s prompting. 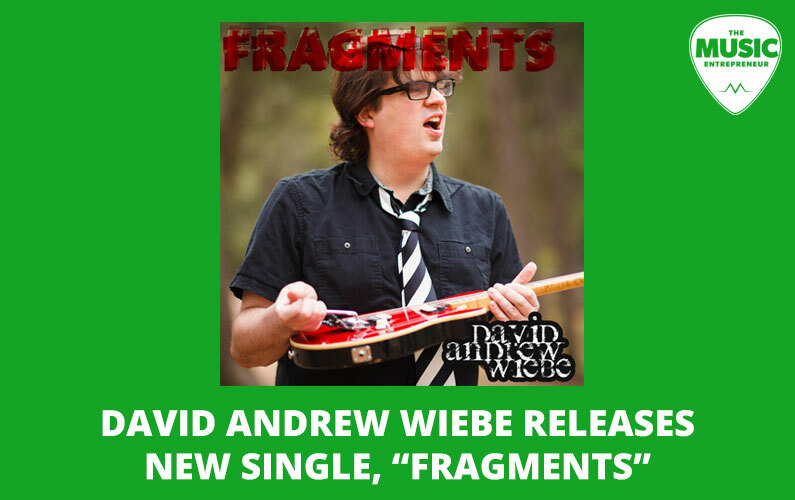 But why hasn’t there been another official David Andrew Wiebe release? “The short version is that there have been some obstacles to getting new music out, and when I was formally introduced to entrepreneurship in 2011, I made the decision to put music on the backburner. That was not an easy decision, and one I took seriously. And although I learned a lot of valuable things through my business training, ultimately I was spinning my wheels not getting anywhere with business. Just last year, Wiebe completed his first book, The New Music Industry, which has been received exceptionally well. “2015 was a new beginning in a manner of speaking. There were a lot of opportunities that started coming my way, and instead of turning a blind eye, I started saying ‘yes’ to everything. That was a healthy thing to do, and it also put a lot of money back in bank account. I’ve been able to recoup most of the losses I incurred while in business. In spite of many collaborations and relationships that ended badly, Wiebe seems optimistic about the future. But there was one lingering question on our mind – why a guitar instrumental? There wasn’t a single song on Shipwrecked… that was an instrumental – all of them featured vocals. “I wouldn’t read too deeply into it,” Wiebe said. “Look, I’ve always been interested in a variety of styles of music. I like Allan Holdsworth, Ivana Santilli, Remy Shand, Van Halen, Extreme, Harem Scarem, David Bowie, Marianas Trench… by this point most people’s heads are spinning. The ever ambitious Wiebe is a full-time freelancer that works on everything from blog posts and podcast episodes to websites, and of course, music. His workload isn’t anything to roll your eyes at, to say the least. “It’s a loose concept to be sure, but there are basically three distinct styles of guitar playing on the new single. Three different guitar tones. So the idea is that the whole is formed from different pieces. And it might have something to do with my fragmented music career too,” Wiebe laughs.